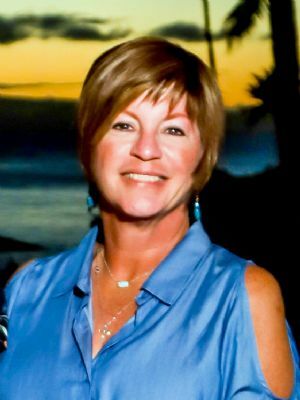 Lori E. Shannon, 55 of Ronks, passed away peacefully at home surrounded by her loving family on Thursday, January 24, 2019. She is the daughter of Betty Esbenshade of Lancaster and the late J. Robert Esbenshade. Lori joins Daniel Lee Shannon, her husband of 20 years and who preceded her in death in 2005, to now be with their Lord and Savior Jesus Christ. Lori was a dedicated member of Calvary Church for more than 40 years, where she was a leader for Pioneer Girls and King's Kids Choir. She also enjoyed teaching Sunday school for more than 20 years. Lori's love for God and people was additionally demonstrated through her hospitality. She loved to cook and bake, and welcome friends and family into her home. A farmer's daughter, she enjoyed working outside, getting her hands dirty, and reading a good book on the beach at the Outer Banks. But, what she treasured most was spending time with her two grandsons whom she loved dearly. She served as a Health and PE teacher at J.P. McCaskey High School for the past 16 years. Prior to that, she worked as Director of Operations at Red Rose Transit Authority. Her professional career began at Hampton High School in Hampton, Virginia, upon graduation from Lock Haven University in 1985. Lori also remained an active volunteer and beloved alumnus of Conestoga Valley High School, where she was affectionately referred to as "Shades" and/or "Losha." Over the years, she coached CV field hockey, basketball and helped establish the district's Hall of Fame Committee. However, being the biggest cheerleader at all of her own children's and nephews sporting events was top priority. In addition to Lori's mother, surviving are her three children: Brittany Presutti (Jacob) of Milwaukee, WI, Gabrielle Danae Shannon and Austin Lee Shannon of Lancaster, PA; sister, Lynn Esbenshade of Lancaster; brother, Craig Esbenshade (Anne) of Lancaster; grandsons, Lincoln and Theodore of Milwaukee, WI; mother and father-in-law, Lee and Lois Shannon of Lancaster; sister-in-law, Bonnie Courcy (David) of Lancaster, brother-in-law, Jeff Shannon of Lancaster; and brother-in-law, Steve Shannon (Heidi) of Lancaster. Nephews Connor, Jackson, Sawyer, Mitchell, Joe and nieces, Ashley, Ella, Layla and Marissa, all adored their Aunt Lori.